Maciej F Boni‘s academic background is in mathematical epidemiology, mathematical population genetics, individual-based disease transmission models, field epidemiology, phylogenetics, and recombination. His main area of focus is the dynamics and evolution of influenza virus, which he has addressed with theoretical, field epidemiological, and informatic methods. His main work in malaria focuses on optimal methods of distributing antimalarial drugs to minimize the risks and slow down the spread of drug resistance. From 2008 to 2016, Maciej’s research group was based in Ho Chi Minh City, at the Oxford University Clinical Research Unit. In 2016, Maciej joined the Biology Department and the Center for Infectious Disease Dynamics (CIDD) at Pennsylvania State University. Trần Đăng Nguyên received his PhD from Open University (UK) in May 2016 with a thesis focused on individual-based simulations of malaria drug-resistance evolution. Nguyen spent several years on the development of this population-level malaria microsimulation and it now explicitly tracks parasitaemia levels, pharmacokinetics, pharmacodynamics, host immunity, variable biting rates, and multiple drug-resistant alleles. The simulation is open source and can be compiled for Mac/Linux from its source repository. The original purpose of this model was to evaluate if using multiple first-line therapies (MFT) at a population level has beneficial long-term health outcomes. Nguyen is currently working on subsequent phases of this modeling work, looking at optimal treatmentcourse durations when several treatments are available and optimal ways to introduce new antimalarial combinations into population-level use when they become available. Alexis Delabouglise obtained his PhD in Health Geography at Paris Ouest University in 2015. His PhD focused on the socio-economic determinants of the efficacy of passive surveillance systems of avian influenza in Vietnam and Thailand, where he used qualitative surveys to address sensitive questions on the relationship between actors of poultry production and sanitary authorities. He also adapted quantitative economic tools, conjoint analysis and contingent evaluation, on the question of disease suspicion reporting. He applied network analysis to analyze information flows on disease suspicions between local actors, and his results highlight the importance of the private information sharing networks on the control of avian influenza. In 2015, he joined the Royal Veterinary College (London, UK) as a postdoc where he analyzed the seasonality of avian influenza in Vietnam, and showing the strong influence of people’s consumption habits. Alexis joined the Boni Lab at Penn State and CIDD in Febuary 2017. He is currently working on the modelling of poultry producers’ behavioral response to avian influenza outbreaks, in terms of poultry management and information spread. Thư Tran received her BS in Computer Science from University of Science and Technology of Hanoi and her Masters in Software Engineering from the University of Bordeaux. Thu worked at the Oxford University Clinical Research Unit from 2014 to 2017. She started her PhD at Penn State in January 2018 and will be working on within-host dynamics of malaria, drug-resistance evolution, and individual-based malaria simulations. Asher Hollenbeak will receive his BS in Microbiology in 2019 from The Pennsylvania State University. His research focuses on characterizing the spread of Plasmodium falciparum genotypes resistant to malaria rapid diagnostic tests using theoretical models, and his senior thesis will focus on how diagnostic resistance interacts with drug resistance. Asher joined the Boni Lab in Spring 2017. Nguyễn Thị Kim Cương graduated from Phuong Nam Technical College in 2010 with a college certificate in nursing and joined OUCRU’s Modeling Group in 2012 to set up the swabbing component of the community ILI study running in Ho Chi Chi Minh City. Trần Thị Ánh Tuyết worked at the Hospital for Tropical Diseases (HTD) for more than 30 years, in clinical care and research roles. She joined OUCRU in 2013 and is helping Stacy with patient enrollment and swabbing in Stacy’s clinical study on influenza immune profiles. Amy Wesolowski has been best friends with the OUCRU Modeling group since her visit to Ho Chi Minh City in the summer of 2014. Bringing her unique brand of New Jersey humor, brash can-do-ness, and epi data sabermetrics, Amy marched thirty thousand ILI data points into a dozen key graphs and released the potential of our community ILI network. Amy worked with all members of the group and broadened the methods we use on a daily basis (smoothing splines, forecasting, swimming). We will be welcoming Amy back for another visit in 2015 and hopefully many more. Marc “Dep Trai” Choisy received his PhD from the University of Montpellier, and after some postdoctoral work in the US, moved to Hanoi to work with the Vietnamese goverment and OUCRU as an IRD Fellow. Marc has worked with the OUCRU modeling group since 2012, mostly on influenza and ILI dynamics. Marc and Thai (see below) have helped us assemble a detailed time series of Vietnam’s national ILI and influenza data, which so far suggest that the dynamics of respiratory disease can be very complicated when winter is not around to impose an order on everything. Amadea Britton. Masters student at Harvard School of Public Health, with Caroline Buckee and Maciej Boni. Amadea’s Masters thesis analyzed historical malaria trends in southern Vietnam, and the analysis was published in the American Journal of Tropical Medicine and Hygiene in 2015. Graduated 2012. Phạm Quang Thái. Open University PhD student with Peter Horby, Maciej Boni, and Marc Choisy. Graduated 2014. Thai’s PhD thesis focused on influenza burden and epidemiology in Vietnam. Thai is currently the Vice-Head of Epidemiology Department at National Institute of Hygiene and Epidemiology. Nguyễn Thanh Hùng. Study Coordinator for influenza field and clinical studies from 2011 to 2014. Hùng was responsible for the initial growth and management of our influenza-like illness (ILI) community mHealth study. Hạ Minh Lâm was a Research Assistant in our group from 2010-2012 and 2013-2015. Lâm took the lead on the redesign of 3SEQ, analyzing ILI data from our mHealth study in Ho Chi Minh City, and various phylogenetic projects. In fall 2015, Lâm began his PhD studies in Katia Koelle’s group at Duke University. Trần Thị Như Thảo was a Research Assistant in our group from 2012 to 2015. Thảo led the laboratory portion of our large seroepidemiology study, which included processing serum samples via protein microarray and managing a large serum bank. In fall 2015, Thảo began a Master’s Program in Infection and Immunity at Erasmus University in Rotterdam. Đào Nguyễn Vĩnh was an RA and PhD student in our group from 2010 to 2016. Vinh’s thesis focused on influenza modeling and inference using serological data. In 2016, Vinh started a postdoctoral position at OUCRU in the tuberculosis group. Benjamin Nguyen-Van-Yen is a student at École Normale Supérieure and received his MS in Mathematical Modeling at Université Pierre et Marie Curie in 2015. Benjamin spent the first half of 2016 working at OUCRU in HCMC, building databases for poultry farm population data and developing mathematical models for the transmission of avian influenza on small poultry farms. Stacy Todd was a Wellcome Trust Clinical PhD Fellow and SpR in Infectious Disease and General (Internal) Medicine at the Liverpool School of Tropical Medicine (LSTM). Stacy began her doctoral research in Ho Chi Minh City in 2012, setting up a large clinical study to analyze susceptibility differences among influenza antibody profiles and post-infection antibody dynamics. Stacy was awarded her PhD in 2016 and is now working as a clinician in Liverpool. Trần Thị Thanh Phương was a University of Oxford DPhil student working in health economics. Her thesis focused on health economic questions in tuberculosis-meningitis treatment and distribution of multiple first-line therapies (MFT) for malaria. Phuong was awarded her DPhil in spring 2017 and she now teaches at Ho Chi Minh City University of Economics. Hannah Clapham was a postdoc in the group in 2016 and 2017, focusing on seroepidemiological analyses for dengue, zika, and chikungunya virus. Hannah is now the head of the mathematical modeling group at the Oxford University Clinical Research Unit in Ho Chi Minh City, Vietnam. She is continuing her work in flavivirus seroepidemiology, which you can read about here. Nguyễn Thị Lệ Thanh was the head study coordinator in OUCRU’s mathematical modeling group from 2014 to 2017. She managed the community ILI network that ran in Ho Chi Minh City, the 02FL serum bank that was set up in 2009, and the Ca Mau poultry field study that ran from 2015 to 2017. Thanh stayed on in OUCRU Ho Chi Minh City and she now works in Hannah Clapham’s research group. Nguyễn Hà Thảo Vy was a research assistant and Masters student in the group from 2013 to 2017. She received her MSc in Biotechnology from Ho Chi Minh City University of Science in 2016. Vy led the lab work in the group on influenza PCR diagnostics and influenza sequencing, and she was a lead member of the lab team that processed serum samples with microarray assays from 2012 to 2016. Vy is now working at OUCRU HCMC in Hannah Clapham’s research group. Huỳnh Thị Phương was a research assistant in the group from 2015 to 2017, working in the lab on molecular diagnostics and serological assays. In 2016, Phuong started an MSc program at Ho Chi Minh City University of Science. 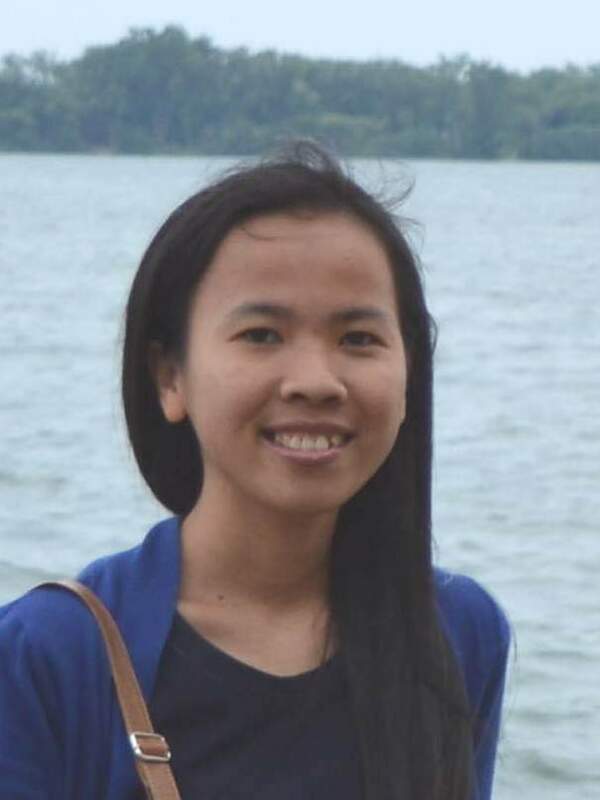 Phuong is now working at OUCRU HCMC in Hannah Clapham’s research group. Trần Minh Quân was an intern in the group from 2014 to 2016, processing microarray slide images for our large influenza seroepidemiology study. In 2016, Quan started working with Hannah Clapham, learning mathematical modeling techniques for various flaviviruses. Đặng Duy Hoàng Giang received his Bachelors in Engineering in Electronic and Communications Engineering from The University of Nottingham in 2014. He joined OUCRU in March 2015 and began developing spatial methods for individual-based malaria simulations. Giang left OUCRU in summer 2017 to pursue a Masters Degree in Applied Mathematics at University College London. Nguyễn Thị Duy Nhất was a University of Oxford DPhil student working in influenza seroepidemiology. Her thesis focused on analyzing stationary antibody titer distributions when no influenza vaccination is present, and inference of seroincidence from serological time series. Nhat passed her DPhil viva in November 2017. Sandra Goldlust was a summer intern in 2014, between her junior and senior years at Princeton where she was majoring in Ecology and Evolutionary Biology. Sandra was focused on analyzing national malaria data from Vietnam to determine what the major causes were of the 1980s rise in malaria cases and the subsequent fall in the 1990s. Sandra wrote her Princeton thesis on this topic which won her the thesis prize in her department. After graduation, Sandra moved to a research assistantship in Shweta Bansal’s group at Georgetown. 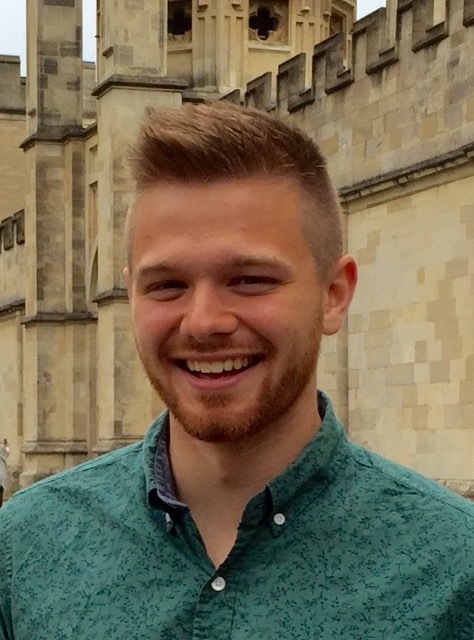 Matt Graham worked at OUCRU/Oxford as a postdoctoral scholar from 2016 to 2018 on influenza and influenza-like illness forecasting in Ho Chi Minh City. His work using the ILI data from the HCMC community study showed that the non-annual cycle was critical to accurate forecasting work. 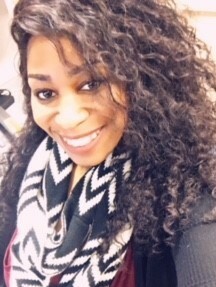 Amber Davis worked with the Boni Lab in summer 2018, while she was an R&D Engineer at Penn State University’s Applied Research Labs. Amber worked on setting up a new transmission method for our individual-based malaria simulation.